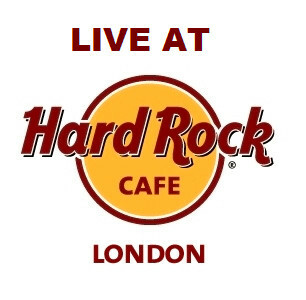 In what is thought to be the first time ever, a gospel artist will be headlining at the iconic Hard Rock Cafe London. On 18th January 2017, Sarah Téibo will be live in concert at the Hard Rock Cafe in an event tagged 'An Evening With Sarah Téibo'. Though a new comer to the scene, Sarah Téibo is gradually becoming highly sought after in UK Gospel following the release of her debut album ‘Walk With Me’ on all digital music platforms on the 8th of May 2016. This was unveiled with a live gig at London’s 606 Jazz Club and subsequently bagged her a MOBO nomination for Best Gospel and two JUMP Music Video Awards in the same year. This is a follow on from her debut single ‘Steal My Joy’, which was a huge success late 2015, charting at Number 2 in the StepFWD Christian Charts in December 2015 and bagging her two nominations for ‘Best Newcomer’ with Premier Gospel Awards and GXMM Awards in 2016. The second of four children, Sarah was born in London, England but also had the privilege of growing up in Nigeria where she started singing in choirs from the age of ten. It was from this early age that it became evident that she was one to be heard and watched. In her 11-track album which ranges from soulful, infectious numbers such as ‘New Day’ and ‘Special’ to bouncing up-tempo tunes like ‘I Will Sing!’ and deeply inspiring tracks like ‘Keep The Faith’, Sarah fuses her uniquely soulful yet contemporary style and powerful lyrics to produce a new and exciting sound which some music critics have described as ‘fresh, urban yet classic’. Following the launch of her album, Sarah has kept up the momentum, singing along side Grammy Award winning Gospel artist Charles Jenkins in May, headlining her own concert with American Gospel artist Lisa McClendon on 5th August and performing at one of UK’s largest Christian festivals - Creation Fest, also in August 2016. For tickets and further details visit the Hard Rock Cafe website.